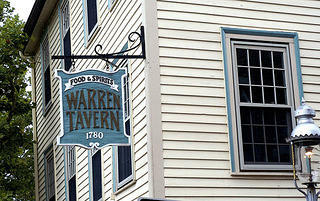 The Warren Tavern first opened its doors in 1780, five years after the Battle of Bunker Hill left Charlestown in ruins. The Warren Tavern’s charming address of 2 Pleasant Street in Charlestown belies its origin as a Revolutionary War haunt frequented by Paul Revere and George Washington. Established in 1780, the Tavern was one of the first buildings erected in Charlestown after the bloody Battle of Bunker Hill in 1775, when British forces left the town in ruins. Among the colonial casualties was the tavern’s namesake, Dr. Joseph Warren, a physician and general who played an integral role in the American Revolution. Warren was born in Roxbury, Massachusetts, on June 11, 1741. He studied to become a physician, as his grandfather had been, but later became enamored with the separatist movement and vociferously advocated against British rule. It was Warren who, in 1775, famously directed Paul Revere and William Dawes to warn Samuel Adams and John Hancock that the British were coming for them. On June 14, 1775 -- after spending weeks readying the militia for the battles ahead -- Warren was elected the second general in command of the Massachusetts forces. 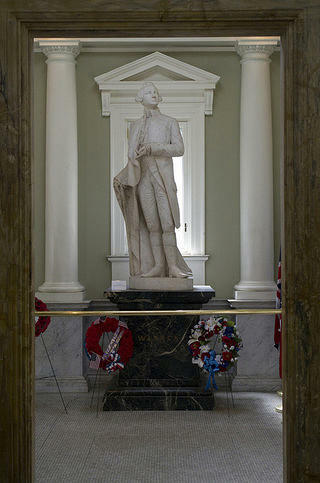 He was killed just three days later at Bunker Hill, his death immortalized by John Trumbull in the famous painting, “The Death of General Warren.” In 1857, a statue of Warren by sculptor Henry Dexter was dedicated at the Bunker Hill Monument's exhibit lodge, where it still stands today. 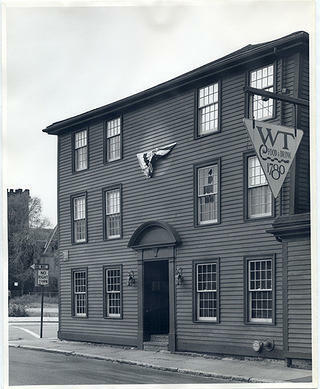 The Warren Tavern in 1975, a few years after restoration. The statue of Dr. Warren at the nearby Bunker Hill Monument. Captain Eliphelet Newell erected the Federal-style tavern in 1780, naming it after his close friend Warren, who had become an instant hero following his death during battle. The bar was reportedly built with wooden beams salvaged from the Charlestown Navy Yard. Frequent guests of the Tavern included Paul Revere, who had been a close friend of Warren. It is also widely noted that George Washington stopped by the Tavern while in Charlestown seeing his friend Benjamin Frothingham. The Warren Tavern remained serving patrons until 1813, when it shuttered. Throughout the following decades, the establishment operated as a bakery, private club, and warehouse, according to John Harnett, who has served as general manager for 14 years. However, in the twentieth century, the population of Charlestown dropped precipitously, from 40,000 in 1900 to just 14,000 in 1970. The building was left in a dilapidated condition and slated for demolition by the 1970s -- that is, until a pair of entrepreneurial families interjected to save the historic establishment. The rejuvenation effort was led by Alan and Ann Cunha, and Neil and Ed Grennan, who successfully reopened the Warren Tavern in 1972. Today, the Warren Tavern is one of the few bars in the area that’s a hit with locals and tourists alike. 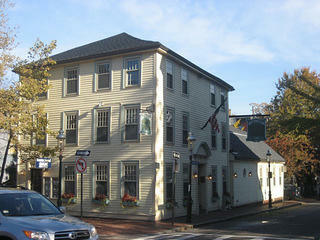 The Warren Tavern, at the corner of Pleasant and Main Streets in Charlestown, bills itself as the oldest tavern in Massachusetts. What to order: For cocktails, try the Washington Apple Martini, named after the tavern's most famous patron, and concocted with crown royal, apple pucker, and cranberry juice. For beer, the Shipyard Pumpkin Ale on tap is a festive treat that comes with a rim of cinnamon sugar. Best Yelp review: "The Warren Tavern is a hidden gem in the shadow of the Bunker Hill Monument. Located in the quaint and historic gaslight district of Charlestown, this place is absolutely incredible -- from its interior design, its historic and cozy ambiance, the delicious food (the BEST clam chowder in Boston), to the amazing, friendly, yet local wait staff."